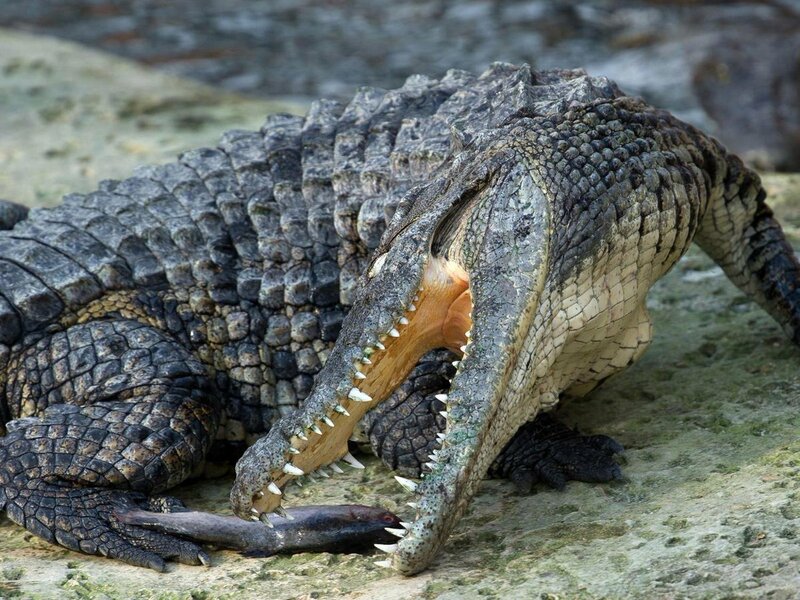 A crocodile jumped out of a lake and killed a pastor while he was baptising followers near the water in Ethiopia, it has emerged. The predator struck on Sunday morning as Docho Eshete was conducting the ceremony at Lake Abaya in Ethiopia's Merkeb Tabya district. 'He baptised the first person and he passed on to another one. 'All of a sudden, a crocodile jumped out of the lake and grabbed the pastor.' It clamped its jaws around the pastor, biting his legs, back and hands. Despite desperate attempts by local residents and fishermen, Eshete could not be saved. They were able to use fishing nets to stop the creature from dragging its victim into the lake. But they were unable to prevent the crocodile from escaping, it has been reported.